Auctions are thrilling and exciting. You get the opportunity to buy an item of your choice quickly and with ease. There are no dragging negotiations and with a date and time set, there is no better sale method than an auction. Auctions might be stressful for first-timers, but have faith, once you get used to the procedure, you will look forward to more auctions in the future. Auctions are also transparent and come with clear terms. There are usually no surprises involved. However, not all are comfortable with auctions, considering the number of bidders, the high-pressure atmosphere and the money involved. This blog aims to give you tips to calm your nerves before an auction and what to do once you win an item. Research the item you are looking to bid on and gather all the information, including the price. Research also helps auction-goers come up with the right price for bidding and guides to follow, rather than getting carried away by your emotions and the exciting environment. Know how auctions work by attending a couple of them before your big day. Get familiar with the entire process to take the stress off your shoulders. By attending auctions, you will get to know how an auctioneer functions and the steps involved after the bidding. It’s important to know not all auctions work the same, but the outcome of every auction is very similar. If you are just not sure and lacking confidence, seek expert help. An auction expert could be an auctioneer or your friend who knows everything about the auction process. They may give you a clearer picture of the entire process that you might not be able to understand as an observer. Once you get the hang of it, auctions will be fun! Meet the auctioneer and complete the sale. Submit all the required information to process the payment and collect the relevant papers. Generally you’ll need to make full payments in cash or check. If there are deeds involved, do not forget to follow-up. Now you own the item, take hold of it. Check the insurance papers and other documents. If you want an explanation to any matter concerning the item, you can always feel free to talk to the auctioneer or the seller. Do not overlook even the slightest information, it might prove costly for you in the future. Now you are the owner of the item, the documents must be under your name. Don’t waste any time and get through the process as soon as possible. What makes a Lyon Auction unique among construction auctions is that all of the equipment is in the same location. Companies are able to liquidate a large fleet of vehicles in a single location. 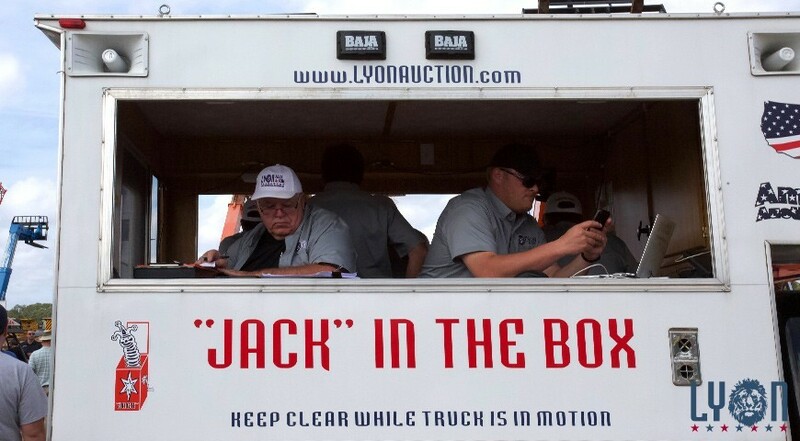 Lyon Auction is able to help well-known companies from conception to the conclusion of an auction. This makes it headache-free and as enjoyable as possible for both the seller and buyer. If you have any questions, feel free to contact us, we’re listening! Copyright © 2019 Alex Lyon & Son - America's Auction Company. All Rights Reserved.